Owning a holiday home can offer an array of benefits. Not only do you get to visit whenever you have a spare weekend, but you can rent it out to friends, family and strangers for cash. But how can you personalise your home away from home and make it feel welcoming? We’ve put together some home improvement tips to consider if you want to make your holiday home the best it can be. Soft furnishings, such as cushions, bean bags and outdoor chair covers can make your home feel more inviting and offer you endless hours of comfort. What’s more, you can pick up attractive cushion covers and other soft furnishings cheaply wherever you are in the world. Interior design company Graham & Brown has put together a useful guide to using soft furnishings in your home – check it out for inspiration as to what cushions and throws you should buy for your property. The best way to personalise your home away from home is to add personal touches, such as photographs and trinkets, which remind you of your friends and family back in the UK. You can print off photographs from your smartphone for just a couple of pounds, and pick up cheap frames that finish off your look. However, remember that if you are going to be renting out your holiday home to generate a side income, through a Monaco estate agency, for example, then you should aim to ‘de-personalize’, or keep your private family photos hidden away when you’re not in the property. If you have children and you want to help them get involved in your home away from home, then let them decide on the style of their own bedrooms. For example, you could visit a local DIY store and let your children choose their favourite wallpapers or colour schemes, and then pair it with matching bedding and furnishings. You don’t need to spend a fortune to transform a bedroom – a lick of paint or new wallpaper is often enough to make a house feel more like a home. If you’ve invested in a home away from home, then the chances are that travel is an important part of your life. Show off your journeys and make a personal statement in your home by turning walls into travel display units, adding postcards, photographs and trinkets from your travels as you go. 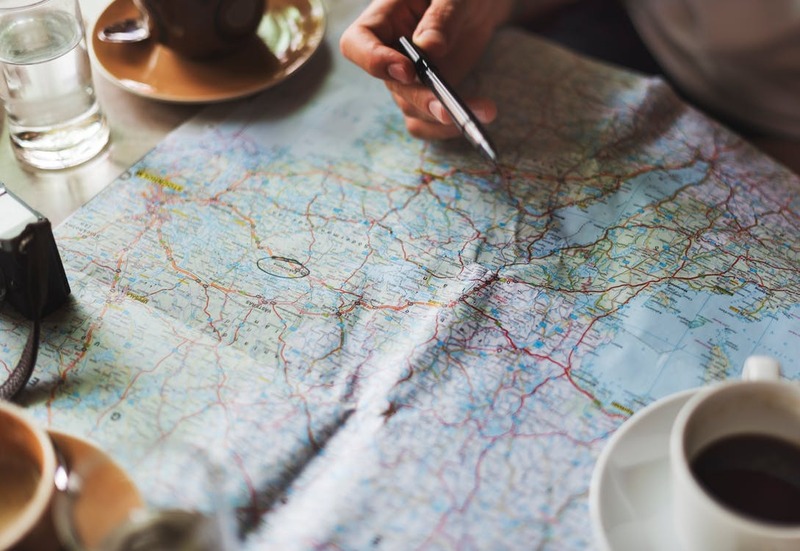 You could even splash out on an oversized world map, and pin Polaroid pictures and plane tickets on destinations that you’ve visited. It’s a fun and unique way to showcase your love of travel – and personalise your home away from home without splashing the cash! There you have it – four great ways to give your home away from home some personality without digging deep. Whether you’ve built your own holiday property or you’re moving into an existing building, you’ll find that a few simple touches can make you feel right at home, wherever you are.